BRISBANE Roar coach John Aloisi has revealed the moment his team turned around their stuttering season, while Bruno Fornaroli has vowed to improve on Melbourne City's historic finals failures. There have been better times to be John Aloisi - one memorable World Cup qualifying moment springs to mind - but not many than right now. 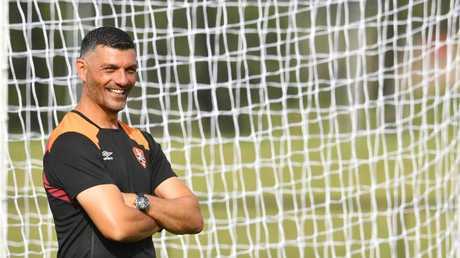 Aloisi leads his resurgent Brisbane Roar side into an A-League final against Melbourne City on Friday night. They've won seven of their last 11 matches, a record only Sydney FC can match. They were last-out winners at AAMI Park, ending a four-year hoodoo at the ground for the club. And with several stars enjoying a return to fitness, there's enough evidence to suggest the Roar could be a serious finals wildcard. 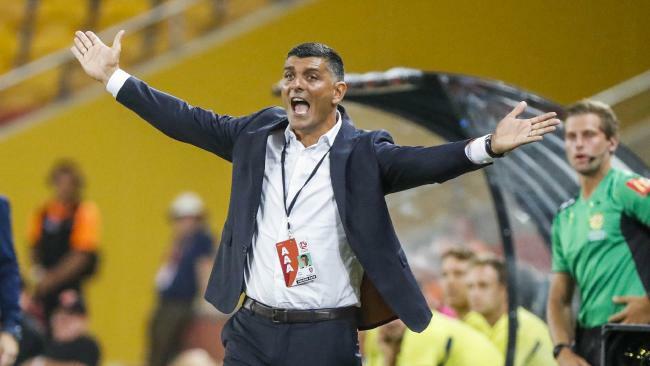 Aloisi told AAP a mid-season heart-to-heart with his players - then sitting two points off the bottom of the table, with just 13 points from 16 games - laid the basis for their turnaround. "Eleven games ago we sat down as a group and we discussed what we believed we could still do," he said. "Everyone said we believed we could still make finals. "We knew we had a bad start. A terrible off-season and pre-season with plenty of stuff going on and off the pitch. "No one made excuses. We just stuck at it, made sure that when we got players back fit we performed well and picked up points. That's what we did." Aloisi said their round 20 away win over Melbourne Victory was a turning point. 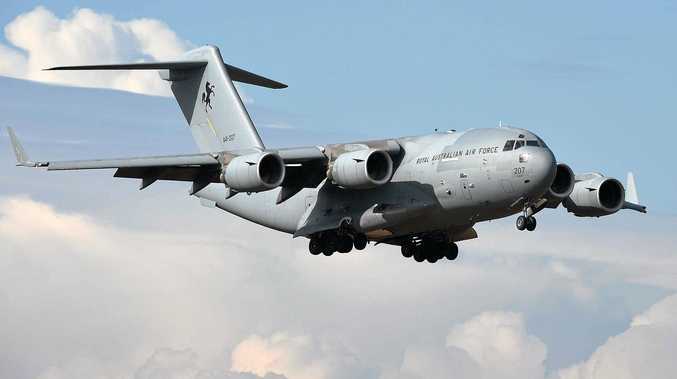 "It was the big boost. Matt McKay said 'I can't remember the last game we've won here'," he said. "He was so excited. I could tell then it was happening. Being the only team to beat Sydney FC at Allianz added to it." Against City, Aloisi predicts an "open and entertaining game", name-checking Daniel Arzani and Bruno Fornaroli as creative forces that will be tough to contain. But he says the Roar's weapons will also leave their mark after growing into the season. "Henrique's getting fit. (Eric) Bautheac understands the league, like (Massimo) Maccarone," he said. "(Thomas) Kristensen has been massive for us, he has been driving the midfield. "And (Ivan) Franjic came in late but now he's looking strong. They're all looking strong." With all that, there's plenty of reasons for Brisbane to be up for their elimination final. "It doesn't make a difference at all for me. It's all about Brisbane Roar," he said. "We're fully focused, ready, and we can't wait." Last season's A-League exit still burns Melbourne City star Bruno Fornaroli. This time, he's vowing to fulfil his team's promise. City host Brisbane Roar on Friday night in an elimination final that evokes sharp memories of last year's campaign. The then fourth-placed finishers hosted Perth Glory in the first week of the finals, only to be turned over by the Western Australians 2-0 at AAMI Park. The final was just the third time City had drawn a blank through a prolific campaign - a tough night for City and Fornaroli, who wears his heart on his sleeve. The passionate striker stormed off the pitch and refused to speak to anyone. "Of course I was furious," he told AAP. "I don't like to lose. Wouldn't you be angry, like me? "I feel a responsibility. I need to give back to the club, the fans, who are here every week and every day. "I don't like to lose and I don't want to lose this year against Brisbane. I hope this year to go to the grand final and win the trophy." The good news for City is that a rejuvenated Fornaroli is ready to go against the Roar. After a seven-month layoff with a broken ankle - the worst injury of the 30-year-old's career - he says his rehabilitation has been so thorough, it won't hold him back. "I feel great. After the last few games I've started to feel better and my confidence has gone up too. My body has let me play," he said. "I feel good and ready for finals." City has already ticked off one of the club's major goals this year - a club- record high finish of third and with it an expected Asian Champions League place. Fornaroli acknowledged the milestone but urged his teammates to narrow their focus to their first finals assignment, with a trip to Newcastle looming next Friday should they win. And given City have beaten both clubs on their last starts, he said they had every right to be confident. "If I didn't think we could win I would talk with the club, go home and have holidays with my family," he said. "We can't think any different. We have to have confidence to beat everyone. "I believe in my ability and this club's ability. "I have a great feeling this year. great feeling and I hope this year is the year." 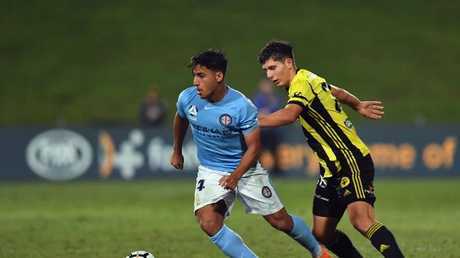 Melbourne City young gun Daniel Arzani is confident that Melbourne City can go deep into the A-League finals series. "I'm very excited personally. I know the buzz around the camp at the moment is very excited as well," Arzani said. "I think we can do something special this year. "We've been very solid this year. Especially coming in towards the end of the season, defensively - I think that gives the boys a lot of confidence. "We can actually do something this year. [I'm] very confident in that."